Aquatherm uses the highest-quality PP-R granules to make our proprietary resin, Fusiolen. Fusiolen is respected worldwide for its consistency, chemical purity, and low environmental impact. Fusiolen was developed in 1979 and became the primary component of Aquatherm’s Fusiotherm line, which would later become Aquatherm Green Pipe. Fusiolen contains 97% pure polypropylene-random, with less than three percent additives. The additives include green pigmentation for opacity to prevent microbiological growth, ion deactivators (to protect the PP-R from free metal ions) and heat stabilizers. Heat stabilizers protect the PP-R from short-term exposure to high temperatures (200+°F) in the event of equipment malfunction. 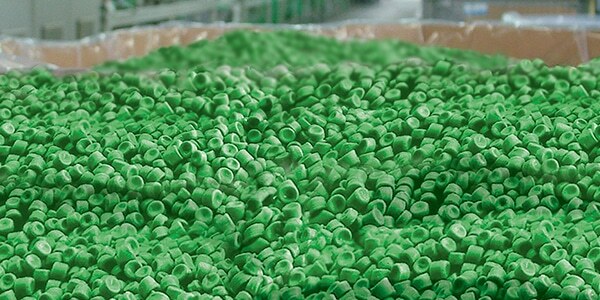 Fusiolen is used to make all of Aquatherm’s Green Pipe, as well as all of the molded fittings. Aquatherm has several variations of the green Fusiolen, including the Fusiolen PP-R C and Fusiolen PP-R L. The Fusiolen PP-R C contains stronger heat stabilizers and is used in Aquatherm Blue Pipe. Fusiolen PP-R L contains purple dye and is used in Aquatherm Lilac Pipe. Every variation of PP-R is held to the same standards for even, reliable results across all of Aquatherm’s product lines.